Coir is one of the best bulk mediums to grow mushrooms in. 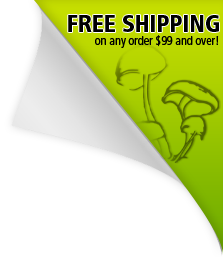 It's naturally resistant to mold and bacteria and mushrooms absolutely love it. When wet it expands to over 2.5 cubic feet. There are many different brands, styles and textures of coir sold for many different uses. We have hand selected Coco Coir, the best producing variety and brand available for growing mushrooms. Super fast shipping and product looks great. They shipped both my orders as one and they showed up super fast! This company is awesome their products are untouchable! Best quality I've used yet! Description says it all! Works fine! Always here for all of my needs. Fast, efficient and accurate service. A rarity these days. Keep it up! We’ll be back.